An easy number prediction with a kicker ending. The Secrets of Getting Lots of Work! A proven blue print for making a very good living from magic & mentalism...seriously! With the economy in the state that it is this essay will provide you with solid information about how to get bookings. Two truly impossible drawing duplications for the price of one. The performer gives a stack of blank business cards (about 20) and a bunch of pencils to a spectator and asks her to distribute them to whoever she wants. The random people who receive a card are asked to draw a picture of something on the card and to hold it face down. The first spectator now collects all of the cards and takes care to keep them face down at all times. She returns to the performance area with the 20 or so drawings and keeps hold of them. The performer asks her to freely choose any one of the drawings while the cards are in her own hands and to look at it carefully and commit it to memory.The performer turns his back to her while this happens. She is then asked to seal this in an envelope which she does herself. Next she is asked to freely choose another drawing but this time not to look at it and to seal it in another envelope again she does this herself.The performer stands well away. The rest of the drawings she places into her pocket out of sight. She is now holding just two sealed envelopes. Inside one is a drawing that she knows; inside the other is a drawing that she does not know. AT NO POINT HAS THE PERFORMER SEEN OR TOUCHED ANY OF THE DRAWINGS. They have been kept face down by the spectator and at all times have only been handled by her. She is asked to concentrate on the drawing she knows. The performer explains that this is a blind test. The target the spectator has chosen is not of her design it was a blind choice no-one in the room can know which drawing the spectator chose except herself. But now that she has looked at it she has an image in her head. Using his unusual skill sets the performer is able to access that image. He draws something on a large pad the spectator announces what she was thinking of and when the performer turns around his pad he has drawn exactly the same thing! Next, the performer says, is what is known as a double blind test. The spectator has chosen a random drawing from a group of unknown drawings and has sealed it sight unseen in another envelope. No one in the room not even the spectator can know what it is.The performer now asks the spectator about her day. The spectator might say she went out to lunch with her friends. When asked by the performer what she had to eat the spectator might for example say a steak with a glass of red wine. The performer suddenly stops her and says that s all he needs to know. He quickly draws something on his pad. The spectator is now invited to open the envelope containing the double blind drawing. When she takes it out it is a picture of a wine glass filled with liquid. (Usually a gasp!). The performer turns around his pad to show that he has also drawn a glass of wine! No impression devices of any kind are used. The performer never ever touches the drawings not even for a split second. The envelopes that are used are completely normal and totally opaque. They can be checked by the on stage spectator and yet the performer knows with 100% accuracy both drawings. The only props used are the cards, pencils and envelopes plus a large pad and pen to do the reveals. This routine uses tried and tested classic mentalism techniques in such a way to create an extremely deceptive routine. 1st edition 2011, 20 pages. Marc Paul is one of the world's finest mentalists. He is in that high pantheon with illustrious colleagues like Derren Brown, Max Maven, Richard Osterlind, and Bob Cassidy. But unfortunately, he doesn't write or put out much in the way of instructional material. (His sole DVD, not counting the brilliant live lecture that he did for Penguin, is long out-of-print. If you find it, don't let it go.) So when you see something by him, it's a no-brainer. You get it. Period. No hesitation. No worries about whether it is going to be good or how much it costs. There is always something in any of his writings that will make you stop, sit up in your chair, and say to yourself, "That's freaking great. I've never seen anything like it." Case in point: In The Fleetwood Notes, he explains his take on an old, but brilliant, Jack London effect called "An Almost Perfect Prediction." Now before looking at Marc's stuff, I had completely ignored mentalism effects that relied on mathematics, "mathemagic" effects, if you will. I thought that they were too tansparent, long-winded, and boring. Not any more. London's effect is brilliant but requires either gimmickry or an ability to not screw up mental math when the pressure is on. Marc eliminates both problems because if there's one thing I've seen from Marc is that he will always figure out the simplest, most foolproof way of doing something. (If I could summarize the Marc Paul philosophy, it would be something like, "Why worry about doing a tricky sleight to control a card, a sleight that will require long hours of practice and a lot of praying that you don't get burned in the moment? Just mark the card." And for a pro, there's nothing wrong with that mentality. It's not lazy. It's effective. In fact, that's one of the reasons why he's fantastic.) And the results are stunning in his updated routine called "Summing Up." I'm using it. It's terrific. But there's also a drawing duplication that's great. And more. 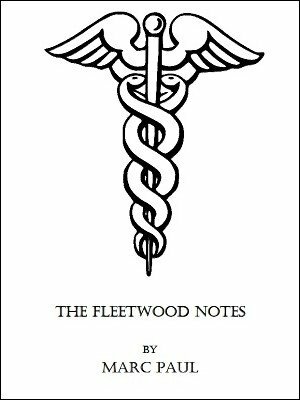 For the advanced mentalist looking from new stuff, you can't beat The Fleetwood Notes.